Forty-five years ago Walt Disney brought his imagination to the Florida swamplands with the enchanting theme park Magic Kingdom. From January until June, the animator’s imagination comes forth in another form: an art exhibit at St. Petersburg’s Dalí Museum. 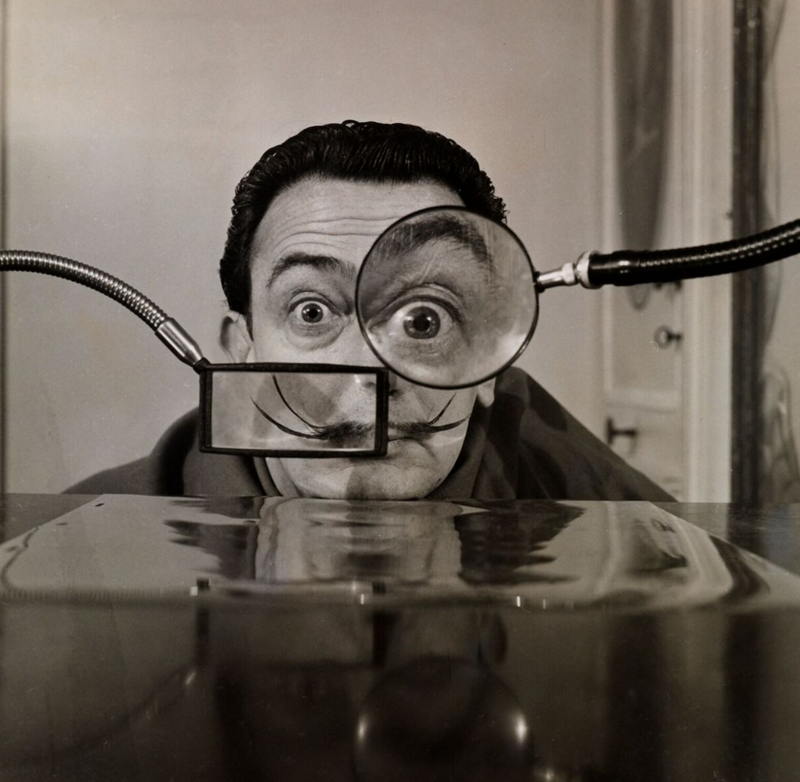 Known for his extraordinary ability as an animator, many are unaware Disney shared an intense friendship with the Spanish surrealist, Salvador Dalí. Their friendship can be traced back to 1945 when the two artists collaborated on a animated short film titled Destino. Though never completed by either Dalí or Disney, this project was the catalyst to a lifelong relationship between two of the most imaginative artists of the past century. The new exhibit, Dare to Dream, showcases the wonderful friendship through a multimedia extravaganza which highlights story sketches, photographs, audio re-creations, handwritten letters between the two innovators and much more. Born only three years apart but half a world away, Dalí and Disney cultivated a vast imagination grounded in their childhood during the 1900s. Though different in design, it was their imaginations that ultimately drew them together and would lead to a friendship filled with laughs and numerous vacations, along with their wives. This extraordinary exhibit is sure to put a smile on your face as it blurs the lines between dreams and reality. Along with Dare to Dream, the Dalí Museum is unveiling a new virtual reality experience. Dreams of Dalí is a new way to explore the surrealist world created by Dalí where visitors can go on a 3-D tour in the landscape of Dalí’s Archeological Reminiscence of Millet’s “Angelus.” Visitors venture into the monstrous towers, scan the desolate wasteland, and discover surprises around every corner, in a way only Dalí could have dreamed. However, if none of those exhibits tickle your fancy, the museum’s permanent collection houses some of Dalí’s most famous works. This includes many of his masterworks like The Hallucinogenic Toreador, a symbolic painting that uses optical illusions to depict his wife’s dislike for bullfighting, and The Discovery of America by Christopher Columbus, a homage to Dali’s Spanish heritage that combines history, religion, art, and myth to tell a story. Also on display are other surrealist works such as Lobster Telephone and The First Day of Spring. No matter your artistic preference, there is something for all art-lovers at the Dalí Museum. Both the Dare to Dream and Dreams of Dalí exhibits are open to all guests and run until June 12th. Tickets are usually $24 but students can purchase a ticket for $17 after presenting their student IDs. Whether you grew up with the works of Dalí or Disney, the collaborative exhibit is a true tribute to the men who made their dreams a reality. Christain Haitz can be reached at christain.haitz@spartans.ut.edu.